Inspired by the cocoon which wraps and protects and is the container for transformation. 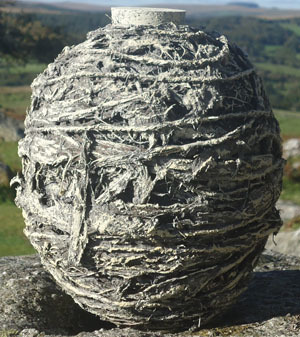 Made using seaweed and 'tenderised' bark strands and decorated with coloured clays collected in Wales and Devon. Available in medium to large sizes only and is subject to the availability of the natural materials used.